The USA. When you think of the artisan, small-batch chocolate scene, the USA is the place to be. Lots of exciting new companies have popped up over the years and they put some of the best bars out there on the market. I didn’t think twice when I was contacted by Doreen Leong of Cococlectic. She offered me the chance to experience some of the products these amazing producers create. I’ll get back to Cococlectic.com, a craft bean-to-bar club, in a future post. 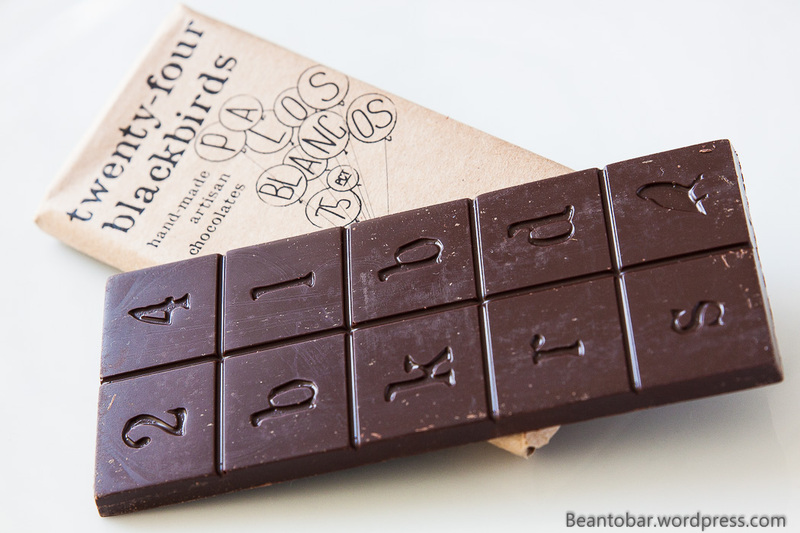 One of the first chocolates provided by Doreen I can review, is a bar by Twenty-Four Blackbirds. The name alone is pure poetry! 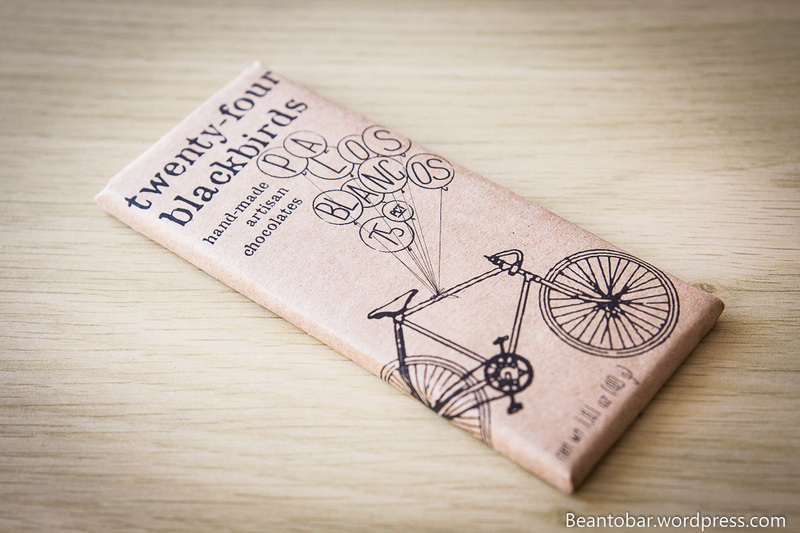 Twenty-Four Blackbirds Chocolate is based in Santa Barbara, California and they offer a very nice array of single origin bars, made from bean-to-bar. The one I’m holding right now, is the Palos Blancos bar, made with Bolivian cacao. As far as I can remember, this will be my first Bolivian origin to review. The bar is a 40 g tablet, packed in such a wonderful wrapper. A thick cardboard paper forms the outer shell. The artwork reminded me of old newspapers, children’s drawings and just puts one in a happy mood. I’m fond of the way the paper feels. Somehow it tells you, you hold a special bar in your hand, but at the same time it wants to ease your mind and lets you focus on the dark gold inside. Funny detail, the company is concerned with your health as they state “ride a bike today!” on the inside of the cardboard paper. Once you open the outer wrapper, a second white wrapper shields the bar. Opening it reveals a perfect rectangular bar, scored in little squares. Every square seems to be embossed with an old-school typewriter, noting 24 and the consonants of their name. This has been thought over. The bar oozes the same atmosphere as the wrapper. A beautiful design. The bar may be named Palos Blancos, but this chocolate is anything but Blancos! Color: a very dark brown, touching black with a hint op purple. Aroma: slightly sweet and lots of cacao with a hint of earth tones, not especially strong. 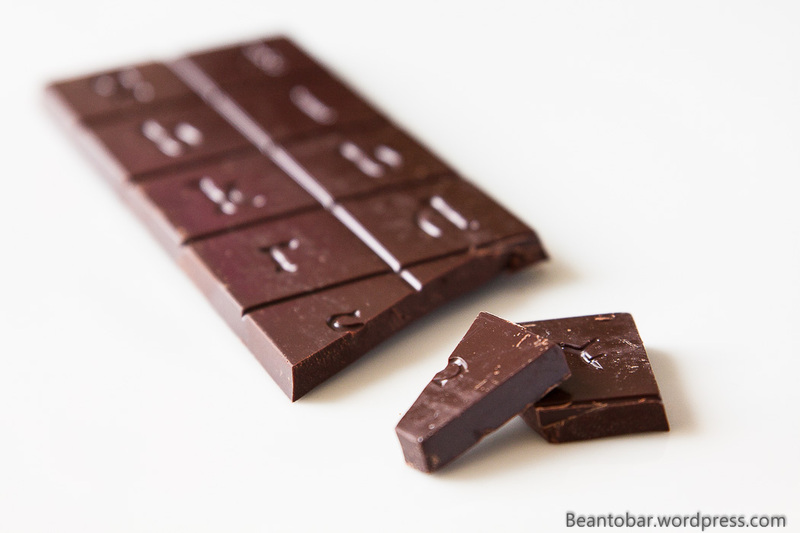 Taste: Starts with a massive amount of pure chocolate with an amazing texture. The earthy tones keep up front, reminding me of hay, mushrooms and raw cacao. The melt is velvet like. As smooth as a French style chocolate. Volatile vanilla aromas lighten up the taste, briefly turning over in a faint fruit note – impossible to name the exact type. Later on more power on the palate caused by nice espresso tones near the end of the melt. The aftertaste is following the main taste with lots of tannins and chocolate. 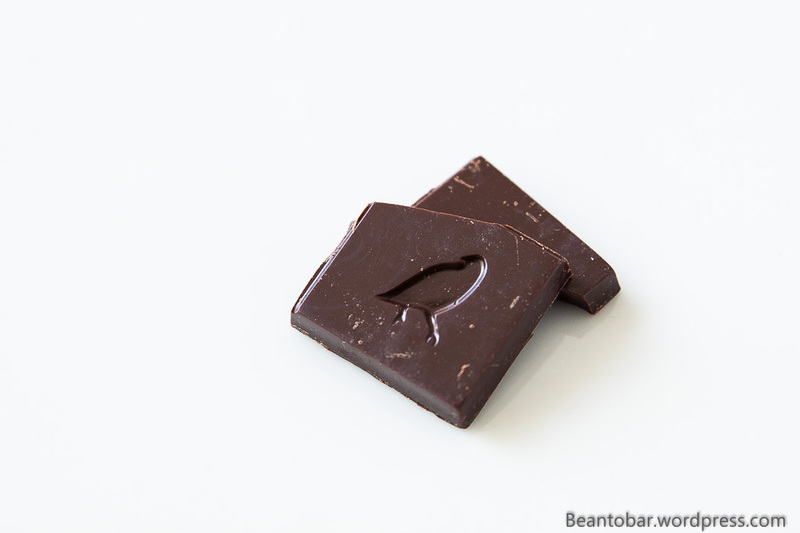 Not as complex as other bars, this Palos Blancos bar delivers a solid dark chocolate taste for those who love to experience cacao at its intense, natural earthy nature – with just enough evolution in taste to keep things interesting. Now, if your up for an intense chocolate taste, hop on your bike and peddle to the closest shop near you to get one of these bars. And it this means you need to cross the entire American continent or even an ocean, just think how that kind effort will benefit your health! Because you know the bar is worth it!